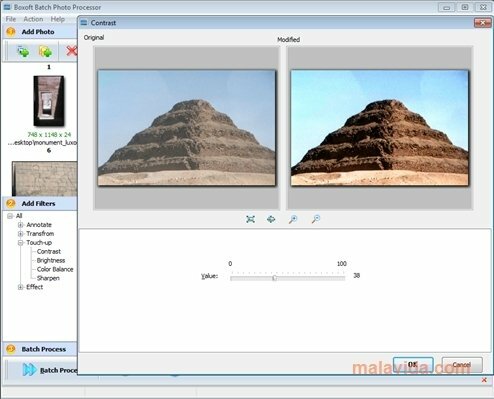 Boxoft Batch Photo Processor is a useful tool that will allow you to transform image packs. Thus you will be able to, for example, to change the size of all the photographs at the same time. It is probable that you have a folder full of photographs and that you would like to apply small enhancements to them, insert the date or reduce their size to be able to send them via electronic mail. 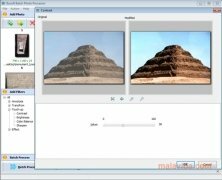 With Boxoft Batch Photo Processor you won't have to do it one by one, with a few clicks of the mouse you will have all the modifications done. - Insert the date, a text or an image as a watermark in the photographs. - Rotate, turn, redimension or crop the images. - Adjust the contrast, brightness and the color balance. - Blur the image, convert it to black and white or add a frame. 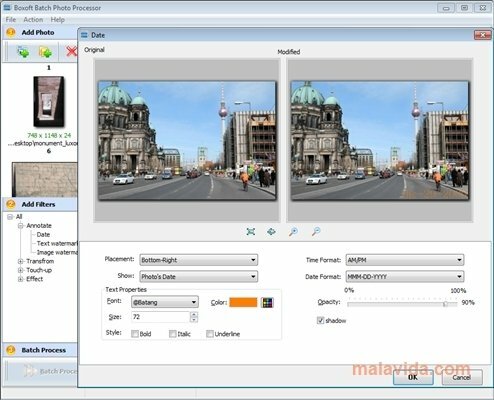 Boxoft Batch Photo Processor is very simple to use: choose the images, configure the transformations you want to apply, and in a few seconds, Boxoft Batch Photo Processor will modify them and save them in the indicated folder. You will even have the possibility to change the format of the images. 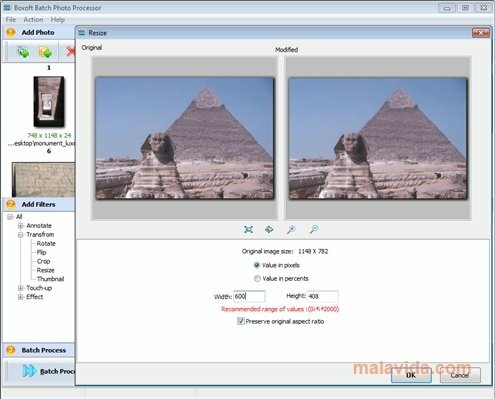 With Boxoft Batch Photo Processor you will easily be able to change all your photographs.